Disclaimer: This post contains affiliate links. If you are looking for the items above, check out #13 and #3. Whether you are thinking about downsizing or already are in a tiny (smaller) home, this essential list is a must have for all those wanting (or living) the simpler life. 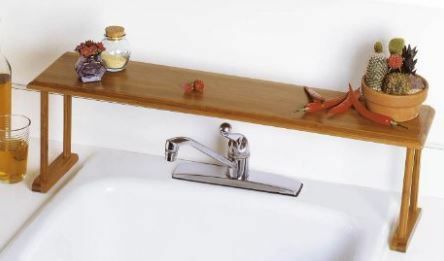 Over-the-sink shelves are very clever space savers. Both functional and decorative, they are the perfect place for kitchen utensils (e.g. sponges, dishwashing soap) or to show off your indoor garden. 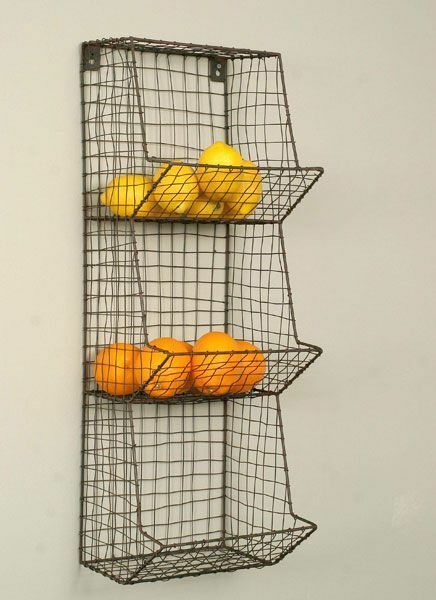 When space is scarce, the last thing you want is a bunch of kitchen utensils taking it up! 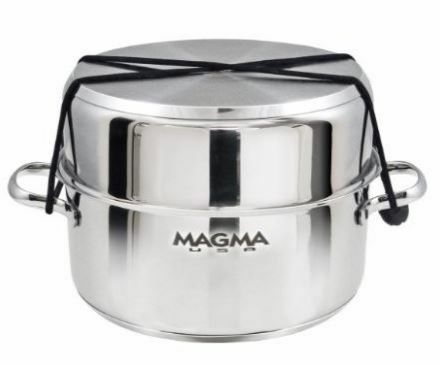 Get this nested kitchenware set that only takes up the space of 1 pot. 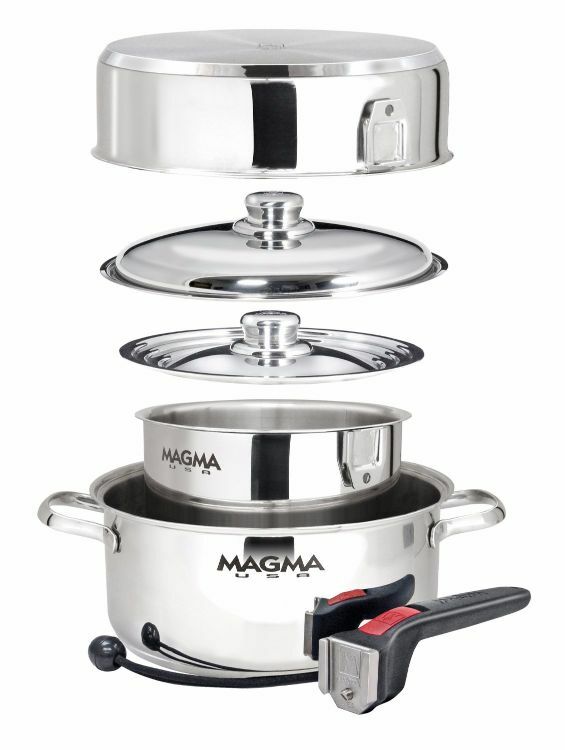 Magma kitchen set, available for purchase here. You have to make the most of your drawer space. 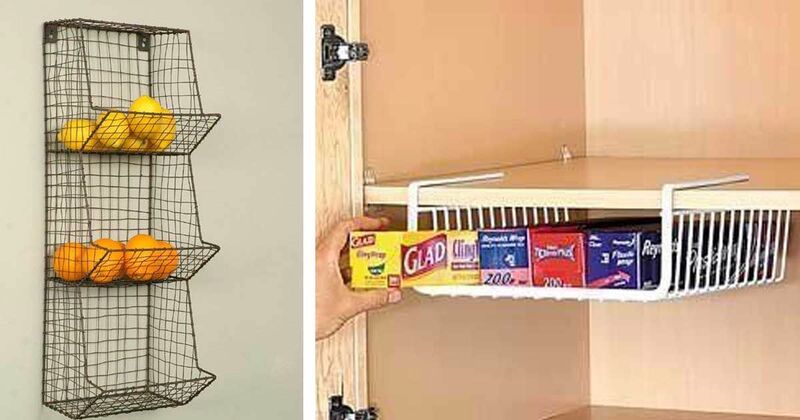 This inexpensive under shelf wire rack does the trick. Available for purchase here. Still want to show off your kitchen supplies? This pegboard display is the way to go. Want an extra kick? 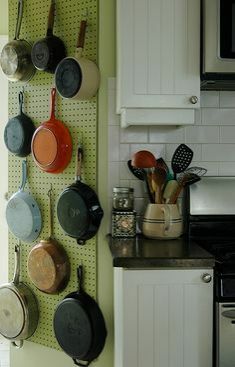 You can add a personal touch by coloring the pegboards just the way you want. Pegboards are available for purchase here. In a small home, closet space isn't really a luxury. 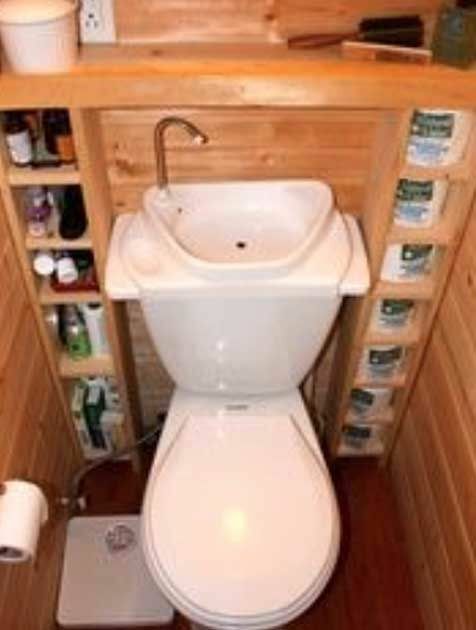 Here's a way to store all useful bathroom essentials in one place. 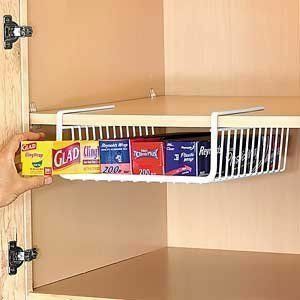 It also makes life easier since all supplies are in the same room! 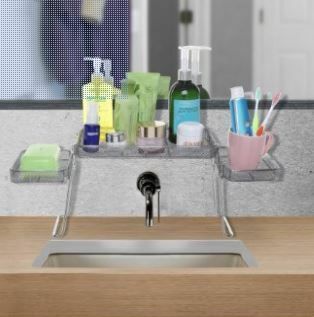 Need a similar shelf in your bathroom? Buy one here. 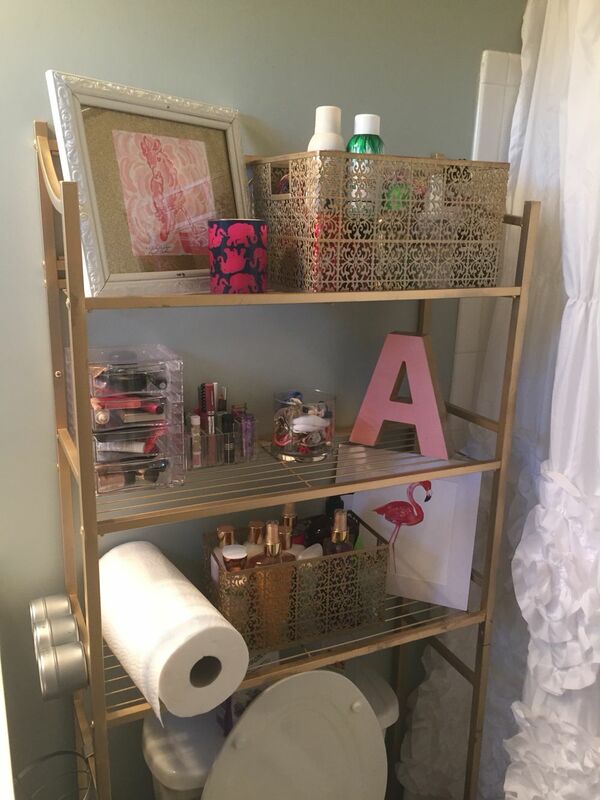 Similar to the kitchen, when bathroom space is tight, the shelving over the sink is the perfect place for everyday essentials. 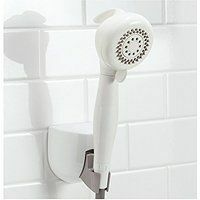 This may seem more peculiar, but in small showers, a holder can go a long way and increase the amount of wiggle room while you clean up. Plus, they are cheap! With the Laundry Pod, you can have a basket-sized washing machine -- This one is a huge space saver! 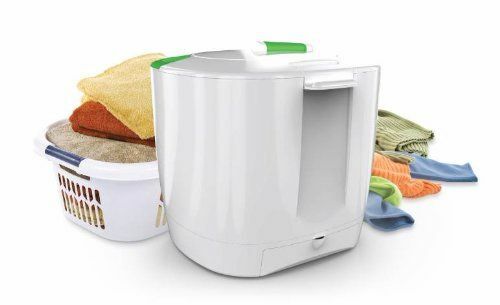 The wash time is around 1 minute, and it can do 10 pieces of clothing! 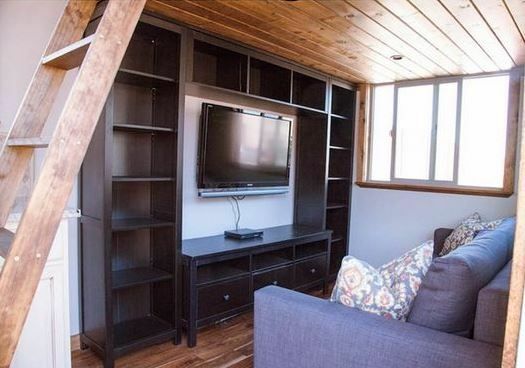 Even if you don't live in a tiny home, this one is great for long road trips/camping/RVing. 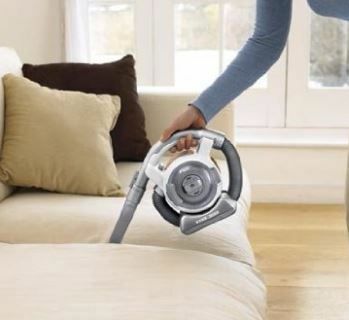 This small vacuum is portable and gets all the nooks and crannies. This model is a favorite. Buy it here. Remote control plug, available for purchase here. This book features over 250 beautiful photographs and tours of 24 different small homes, ranging from 500 to 1640 square feet. 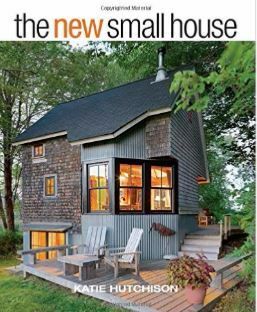 Given the photos and the coverage, "The New Small House" makes for the perfect tiny home starter book. It's also a beautiful coffee table piece. Get it here. The ultimate combo. No other words necessary. Purchase it here. Finally, a fruit basket that doesn't take a whole lot of space. Purchase a very similar one here. Like our list? Don't forget to SHARE it with friends.